Several years ago, Tyler, The Creator had a vision to launch a line of sneakers to go with his Golf brand. 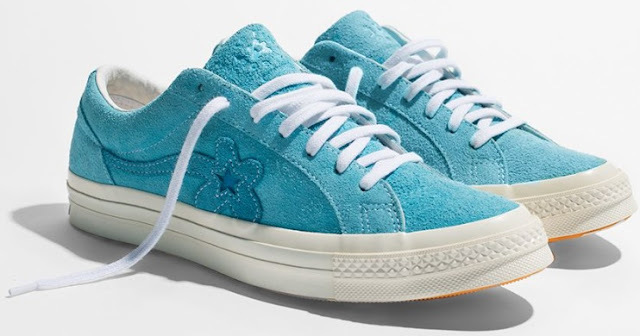 He named them “Golf Le Fleur*.” Converse and Tyler spoke about joining forces . . . everyone thought it was a good idea. From there the Golf Le Fleur* Collection was born. The end. Learn more about the Converse Golf Le Fluer collection. See more about Converse shoes here on the Apparel Search footwear & fashion blog.